Looking for hot tub cottages where you can relax and enjoy a fantastic holiday? Then we can help, Country Cottages Online features a great range of cottages with hot tubs, perfect for relaxing. If you enjoy being pampered and want complete relaxation, you may want to book a good quality self catering cottage with a warm bubbly spa bath. Cottages with hot tubs can offer that extra special spa experience. For even more choice of hot tub holidays from Country Cottages Online, you should find the below helpful and may also be interested in cottages with a spa bath. Need a Hot Tub Cottage with Additional Spa or Leisure Facilities? There's nothing quite like taking some time out and having the best of times relaxing in a hot tub with family or friends. 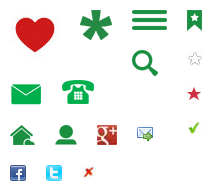 We've done all we can to make it easy for you to find what you are looking for. Take a look at the following cottages with hot tubs to help you de-stress on holiday. Enjoy the warmth and bubbles as the jets massage your cares away. We have a wide selection of cottages of all sizes sleeping from 2 upwards and we trust you'll enjoy browsing. An average sized cottage with a hot tub will sleep 6 people. Use the Cottage Search to find cottages of specific sizes, for example cottages sleeps 12 with a hot tub or dog and family friendly self-catering cottage with a hot tub. 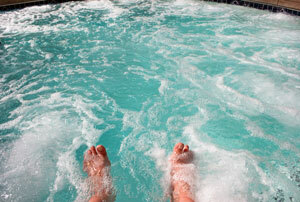 Remember when renting a cottage with a hot tub, most owners will have safety guidelines that you will need to follow. 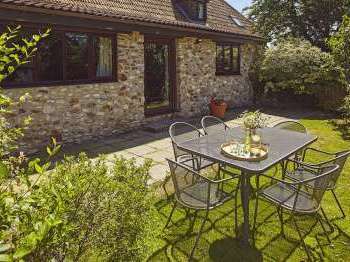 If you have a particular area in mind for a break in England, read on for more information about finding quality self catering holiday cottages in popular holiday destinations in England with hot tubs. Some of the best places in England have to be the Cotswolds, East Anglia, Northern England and the West Country. 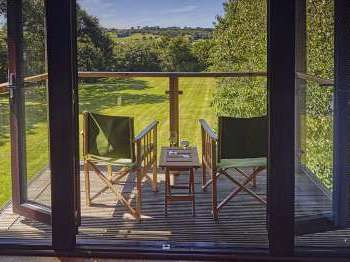 Devon tops many holiday destination lists, especially for pet-friendly family cottages with a hot tub in Devon. A stay in an English cottage with a hot tub can be just perfect when it comes to relaxing and taking it easy and can add that extra special something to your holiday. The Cotswolds have many attractions including gardens and large country houses. East Anglia is relatively easily accessible from London and offers pretty villages, countryside and more. The Heart of England is a special place with beautiful areas such as Stratford upon Avon and Warwickshire, a must see for those who love the English countryside and a bit of history. 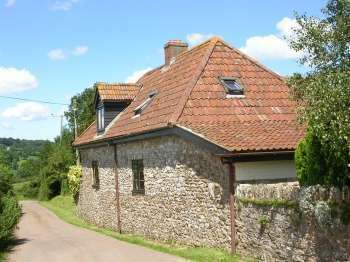 Cornwall, Devon and Somerset in the West Country are all popular locations for cottage breaks. Cottages with hot tubs in these areas are likely to get booked up quickly, book ahead wherever possible. One destination not to be overlooked is the lovely Isle of Wight. The rewards of a holiday there outweigh the need for a ferry trip; it takes a mere half an hour and ferries run frequently. Treat yourself to a cottage with a hot tub on the Isle of Wight - you'll love it. A cottage with a hot tub is really appreciated by walkers. Imagine trudging the hills all day to return to a blissfully warm and relaxing spa bath. Click for a full list of cottages with hot tubs (includes UK and Ireland) or if you just adore relaxing in a hot relaxing environment then why not find a cottage with a sauna? Or perhaps you are dreaming of a stay on a farm where you can also have use of a hot tub, if so see these farm stays with hot tubs. 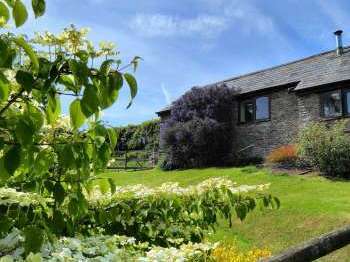 Wales is a fabulous self-catering holiday destination with a wealth of good accommodation including high quality cottages with hot tubs in Snowdonia, Pembrokeshire, coastal Wales and on farms. A self-catering cottage break in Scotland is wonderful for those holidays where you escape to a wild rugged and stunningly beautiful landscape that enthralls and makes you forget about mundane everyday life for a little while. Find a cottage in Scotland with a hot tub and book your own personal escape. Ireland is the home of serious relaxation for self-catering holidays. Stay in a holiday home in Ireland with its own private hot tub to gain refreshment by alternative means although Guiness would probably assist!